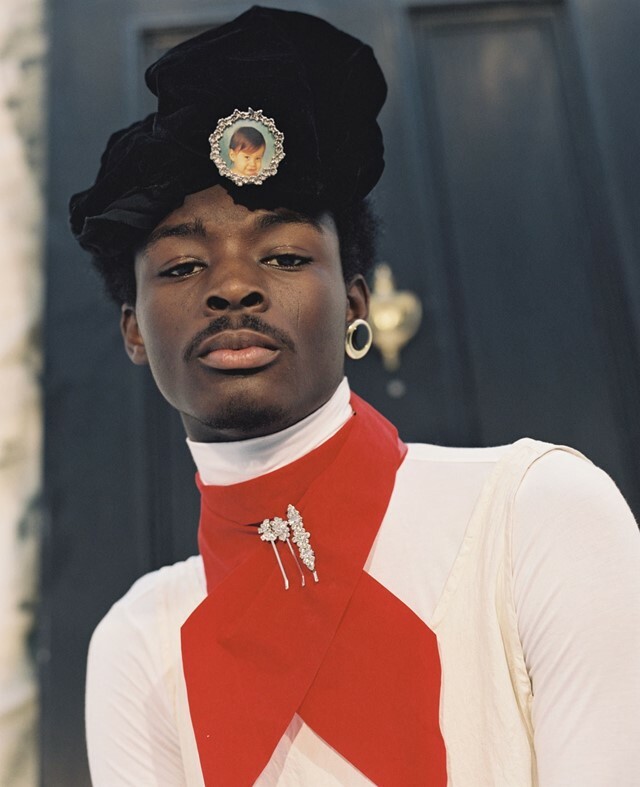 It is an exciting time for British-Ghanaian photographer, independent publisher, and soon-to-be Central Saint Martins graduate Campbell Addy. He is gearing up for the launch of his publication, Niijournal, which examines the norms and values of the majority of fashion and art publications through a mix of photography, literature, and written features. By looking closely at racial and cultural identity through a personal lens, Niijournal aims to ‘educate, not irritate’. Below, we caught up with Addy ahead of his launch party tonight to discuss why he is focused on navigating the often difficult conversation around representation in the art and fashion worlds. Inspired by time spent in New York and Accra, he has cultivated a 140-page exploration of what it means when young black creatives look closely at the relationship between aesthetics and politics. What made you decide to launch Niijournal? Campbell Addy: I don't just want to make a nice image. The image, the colour, the lighting, I'm always trying to provide a story and context. I went to Ghana last year to visit my mum and eventually printed the images I took there; I had posted them on my Instagram but printing elevated them and gave them another dimension. Everything is so fast; I wanted to make something that stands alone. I was in New York during what felt like the height of the Black Lives Matter movement. In Harlem, I saw this huge memorial for people who had died in police custody. I wanted to react to what I saw; it would be an injustice to myself if I went back to CSM after experiencing something like that and just made a fashion magazine. My identity issues were amplified in New York and I wanted to express that in the publication. How did you go about choosing contributors? Campbell Addy: As part of my Fashion Promotion and Communication course at CSM I spent a year working in the fashion industry and travelling. Selection came down to people who were engaging with social issues in their own ways, creating an alternative, multi-faceted viewpoint. Ibrahim Kamara and I are long time collaborators; it was a no-brainer when it came to shooting alongside one another for Niijournal. Working with Ib allows me to truly push boundaries with my work. Devin M Morris is an artist from Brooklyn via Baltimore. I love his collaborative work and his use of collage. From the casting down to the story telling I found it very intelligent and inspiring to see an artist working with local and likeminded artists. I met Adama Jalloh whilst in New York at an artistic gathering at another contributor’s house, Elliott Jr. I was drawn into Adama’s use of familiar surroundings in her photography to portray scenarios that befall a lot of black youths in London. What’s the thinking behind you starting your own casting agency for black boys? Why is it important as an image-maker to have control of casting? Campbell Addy: Everything came to me in waves; I wanted to be more honest with myself about what I wanted to see. Before I started Nii Agency I cast an albino model for a shoot and later encouraged him to meet with an agency, he went and they told him “we have one of you already.” When I heard, I was so angry, at the time I didn't understand and I couldn't articulate why, but as I travelled and shot more, I gravitated toward creatives who used their work to educate us about racial and cultural identity. When we were younger, we didn’t really have anything to emulate, assimilation was the only option. I don’t want to work in an industry where I don’t have anything to say. Are there any particular influences on your work? Campbell Addy: Buffalo, working with photographer Jamie Morgan. He and stylist Ray Petri were making work about themselves and it showed. I learned from him the importance of being present in your own life, being inspired by it and reacting to that in your work. What about studying at Central Saint Martins has helped with the development of your viewpoint? Campbell Addy: CSM opened me up to appreciate something outside of the box. It took a while but I learned that only I can see the world the way I see it.